One thing that can help someone stick to a low-carb diet plan is definitely pickles. They're such a lifesaver - they add crunchy texture and tangy flavor to so many keto-friendly recipes. After buying jar after jar of pickles, it becomes clear that using a simple recipe to make pickles is a better choice. This version is simple and easy. 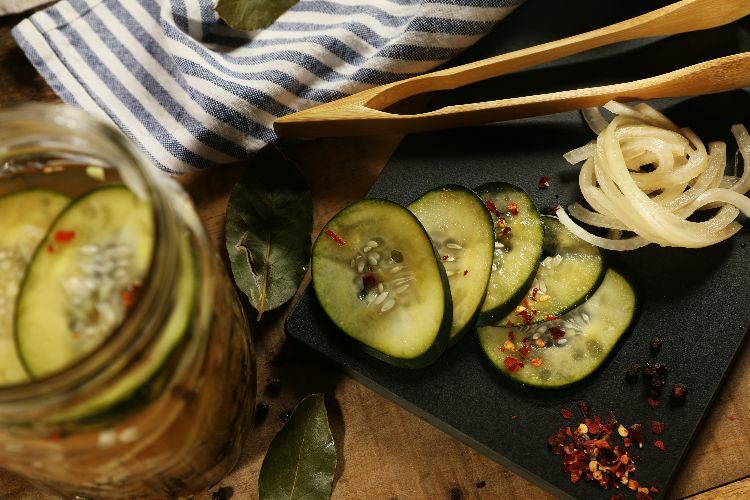 These pickles are totally addicting because they hit all of the flavor notes: They're sweet, spicy, tangy, sour and totally delicious. Use them as a base to serve egg salad or chop them up to add to your favorite deviled eggs. No matter how you use them, they're sure to brighten up your meals and snacks. 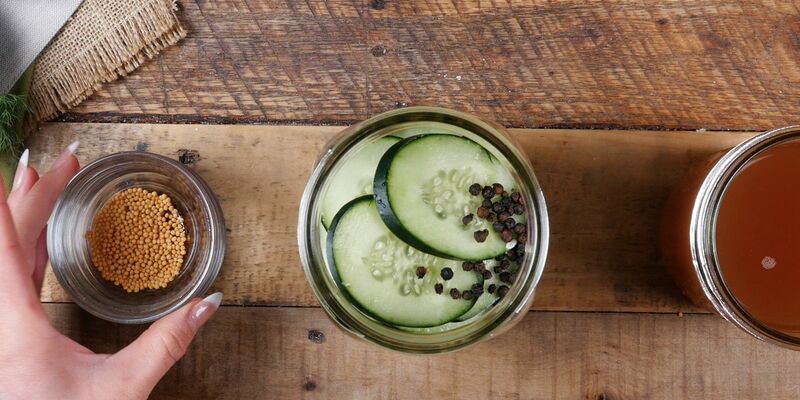 Cut the cucumber into thin slices with a mandolin or sharp knife. Place the slices into a pint jar. Add the peppercorns, mustard seeds, red pepper flakes, dill seeds and onion slices to the jar. In a large bowl, whisk together the water, vinegar, salt and Stevia. Pour the liquid into the jar and seal. Refrigerate for at least 12 hours before serving.